Paris-Roubaix and Tour de France stage winner Magnus Backstedt will spearhead the new UK Youth team, officially launched in the New Forest last weekend. Backstedt joins Olympic Bronze medallist Steven Burke, Niklas Gustavsson, Fredrik Johansson, Gruff Lewis, David McGowan, Filip Rudenstam, Chris Seviour, James Stewart, Leo Mansell and Greg Mansell. The latter two are the sons of former Formula One world champion Nigel Mansell, president of the youth work charity that gives the team its name. UK Youth is a national youth work charity supporting over 750,000 young people. 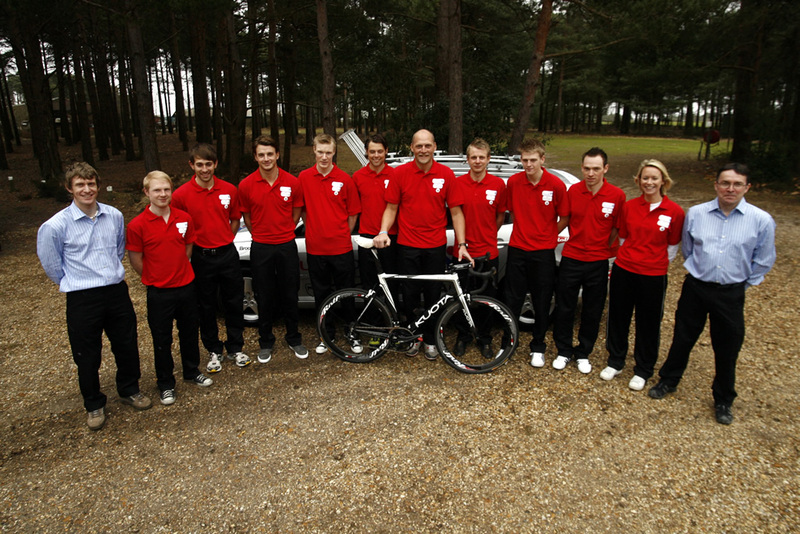 The squad’s launch took place at UK Youth’s headquarters, the Avon Tyrrell activity centre, in the New Forest. Backstedt retired from top-level international racing in February 2009. He won Paris-Roubaix in 2004 and a stage of the Tour de France in 1998. Originally from Sweden, Backstedt now lives in Wales with his family. The team will make its racing debut at the Perfs Pedal Race in Portsmouth on Sunday, February 13. Team UK Youth – Magnus Backstedt Interview from Fusion Media on Vimeo.